You might have heard that Jessica Khoury (author of Origin) has another novel coming out on 14th January called Vitro. Last night she launched a unique contest called Operation: VITRO-a fun, interactive game where you can complete challenges, unlock exclusive bonus material and enter to win lots of amazing prizes! The contest is quite different to others I’ve entered in the past, with unique activities like designing a pair of Vitro-inspired converse shoes, an outfit and a logo for the fictional corporation ‘Corpus’. There are four sections to the game (Corpus Divisions): Bio, Nano, Techno and Enviro. Complete as many tasks as you can for each section (a minimum of 8) to claim a prize of your choice and an entry to win a Grand Prize. Part of a password will also be revealed at the end of each section. When you’ve completed all the sections you can enter the complete password into the Mainframe to be in with a chance of winning the Corpus Jackpot-the biggest prize of all! Unfortunately the contest isn’t open internationally (only to the USA) but I decided to play along for fun and bonus content anyway. Head over to www.corpusnetwork.com to enter and follow the instructions to complete the tasks by Vitro’s release date-January 14th. Everyone that enters wins prizes! 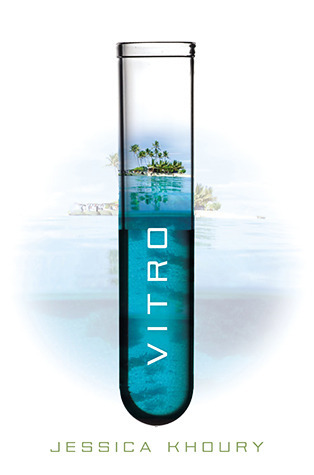 Does vitro sound like something you would like to read?